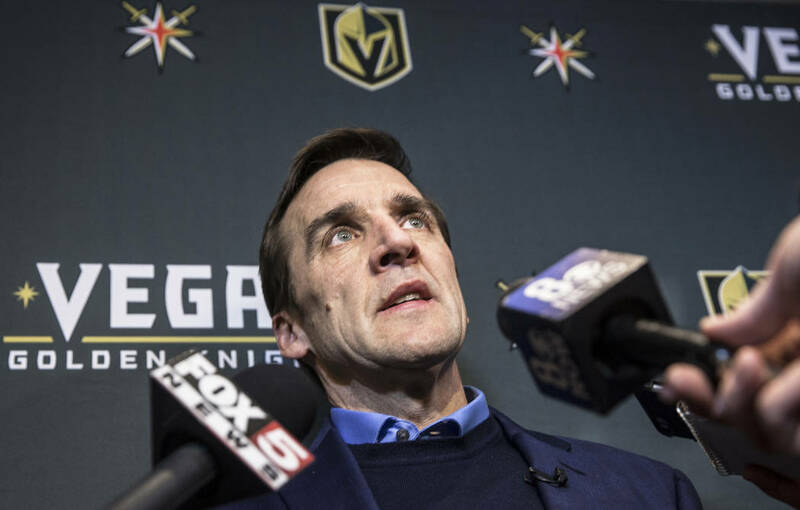 George McPhee and his group will build a team through the expansion draft, but they will build a future through the entry draft. Here are the picks the Golden Knights could make in order to maximize every pick in their first draft as an NHL franchise. Starting with a talented player down the middle of the ice is never a bad thing. At a little more than 6-feet tall and nearly 200lbs, Mittelstadt has the size to stick as a center in the NHL and the skating ability to excel at it. He is one of the best skaters in the draft and plays with a speed that is necessary to be a top player in the NHL. He has dynamic puck skills and the hands to make plays at top speed. Mittelstadt is a smart player that can be counted on to play in every situation. He shows the kind of patience and awareness with the puck that you want to see from the offensive driver on a top line. He had 94 points in only 49 games split between his high school team and Green Bay of the USHL. The knock on Mittelstadt is the quality of competition. He beat up on high school opponents most of the season and whichever team drafts him will be hoping that he shows the same kind of dominance next season as a freshman at the University of Minnesota. He’s got the instincts and skills to be a high-end point producer in the NHL and if he’s still on the board at #6, it’s hard to see Vegas passing on him. George McPhee isn’t afraid to take a chance on a highly skilled player with consistency issues – and Ivan Lodnia is definitely that. He has the skill to be a top-20 pick but has a tendency to fade into the background far too often. That’s easy to do when you’re playing down in a star-studded lineup as Lodnia was. For a large chunk of the season, Lodnia was able to show how dynamic he can be – he was one of Erie’s top players for a two-month span – only to become invisible in the playoffs. If there’s one thing Vegas can afford to do, it’s being patient and waiting on a player with Lodnia’s skill to put it all together could pay huge dividends. Here is a more in-depth scouting report on Ivan Lodnia. Minulin is a big two-way defender that has shown tremendous growth over his two seasons in the WHL. If he were a better skater, he’d be in the conversation to be a first round pick. He’s the type of underrated prospect that Vegas needs to key in on when building their franchise. Here is a great breakdown as Minulin as a prospect from J.D. Burke of Canucks Army. A very young, very raw prospect, Samorukov doesn’t turn 18 until a week before the draft. The young Russian defender was selected second overall by Guelph in last year’s CHL Import Draft. He went on to have a very good rookie season and followed it up with an even better U-18 tournament. He is above average defensively – especially for someone his age. He is tough to beat one-on-one and has a great ability to read the play, which makes it hard to catch him out of position. Like any 17-year old, he needs to put on bulk and once he does, he will only become harder to play against in his own end. Offensively, Samorukov has a great shot. He god a little bit of powerplay time on the young Storm team and was far from out of place. His passing is decent and his vision makes him very good at starting a breakout. If he’s still around at the start of the 4th round, Samorukov could be a steal and a guy that a patient Vegas team would be ecstatic to select. A very good skater, Peckford is a two-way forward that probably projects to be a prototypical bottom-6 forward as a pro. Despite not having overly impressive offensive numbers, Peckford is a strong forechecker that is able to put pressure on the opponents defense. He is a guy that his coaches depend on to both kill penalties and take defensive zone faceoffs. Here’s a more in-depth look at Peckford as a prospect. As a 20-year old, Crowley is in his final year of eligibility in the NHL draft. He is a physically intense defensive defenseman that has always been very tough to play against. He’s a bit of a Dan Girardi type player – and for as much as hockey fans like to rag on Girardi, he’s the kind of player GMs like to fill out the bottom of their depth chart with. Being a re-entry, Crowley is AHL eligible next season and would be closer to the NHL than any of the 18-year olds you’d be taking a flier on late in the – something that Vegas might be looking for. Kemp is a big, rangy defender that was the captain of the US National U-18 team this past season. He’s scheduled to attend Yale in the fall and is a long way from being a legitimate NHL prospect, but the tools are there and Vegas can afford to be patient with a guy who could develop better than most late-round picks. Next 2017 NHL Entry Draft: Who Could the Calgary Flames Select With Each Pick?